The Llanelly Railway and Dock Company, opened its line from Pontardulais to Cwmamman (Garnant), on 10th March 1840. The railway was extended to Gwaun Cae Gurwen on 6th May, 1841. The track followed the River Garnant up the valley and climbed a steep hill (gradient 1 in 4.9), approximately 132 yards (or metres) long, before reaching the village. The line served two collieries on the way, one by an incline on the south side of the valley. The Llanelly Railway line was taken over by The Great Western Railway on 1st January 1873. 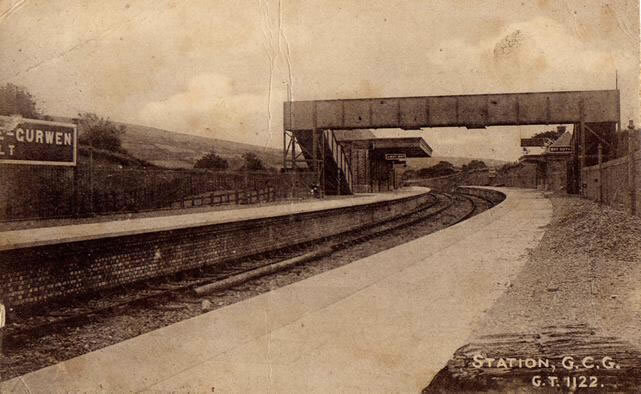 On 4th November, 1907, a new single track was opened by the Great Western Railway. This started just east of the Raven Crossing, at the east end of the branch platform at Garnant. It rises at a gradient of 1 in 40 throughout its length, which is just over one and a third miles ((just under 2.2km). The new track begins on the north side of the old branch, but crosses over it after about half a mile and cuts across the south west side of the valley, crossing a viaduct. The viaduct consists of 5 arches, 66 yards (or metres) long, with a maximum height of 30ft. Beyond this, it immediatedly follows the course of the old line, west of the level crossing at Gwaun Cae Gurwen. When the new line opened, just under half a mile (approx 1.3km), of the old track was closed. The remainder continued under the name of the Cawdor Branch and served the two collieries. The sidings at the foot of the incline were removed in 1933 and the rails were lifted from the rest of the branch in 1950. The Great Western Railway started a passenger service from Garnant to Gwaun Cae Gurwen on 1st January 1908, using a steam railcar. 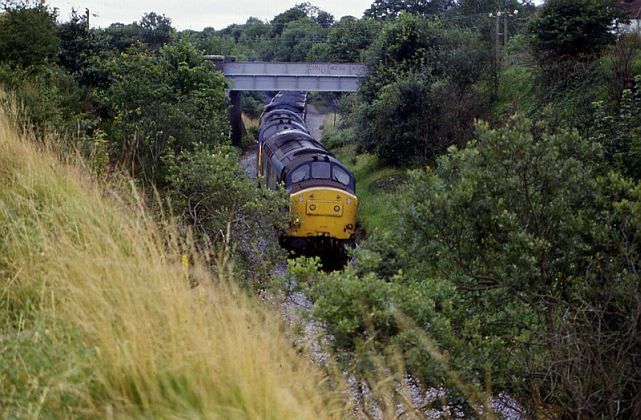 The service consisted of 8 trips per day, stopping at Gors Y Garnant, Red Lion Crossing and the terminus which was just west of the Level Crossing at Gwaun Cae Gurwen. This service continued until June, 1926, when the section closed during the General Strike. For more information, please visit the "Cwmamman Railway" page of this site. The above information was taken from an article by C. L. Mowat in the "Railway Magazine", December 1957 and from an article written by Graham Jones for the Amman Valley Historical Society.